On Wednesday, May 20, OCAAUP President John McNay delivered testimony to the Senate Finance Higher Education Subcommittee. McNay expressed that faculty have grown weary of being scapegoated for driving up costs at Ohio's public colleges and universities. He told legislators that less than 24 percent of institutional operating budgets is spent on professors' salary and benefits, also known as "instructional compensation," and that instructional compensation actually has declined by over 4 percent over the last 10 years when adjusted for inflation. "As college costs have continued to rise, faculty compensation has dipped below inflationary levels. Clearly, other factors need to be examined," he stated. McNay went on to discuss how administrative bloat, athletics, and never-ending building projects are driving up costs for students. He also pointed to the direct relationship between state support and tuition costs, noting that tuition has risen as state support has declined. 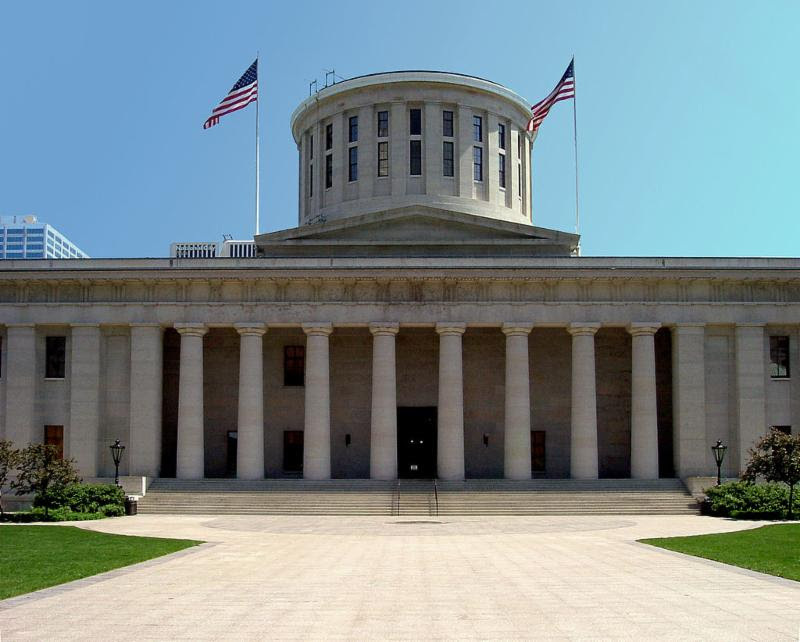 In addition, he urged the committee to investigate the effects of the new funding formula, to examine the College Credit Plus program critically, and to reinvest in the Ohio College Opportunity Grant (OCOG). Chairman Randy Gardner (R-Bowling Green) thanked President McNay for his testimony and said that the Legislature is trying to take positive steps to reinvest in higher education. Various students testified at the hearing, including several members of the Ohio Student Association. They wore swim floats and goggles as a sign that they are "drowning in debt." They gave compelling accounts of their personal struggles to afford college and now pay back their loans. We will continue to monitor House Bill 64 as it moves to the full Senate Finance Committee. We successfully beat back the language House members inserted into HB 64 that would have reclassified faculty as managers and thus denied us of collective bargaining rights. 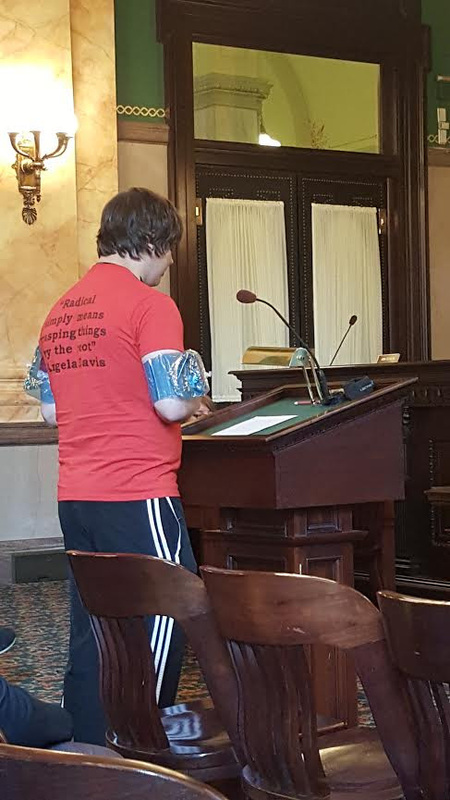 Nevertheless, we want to make sure that our State Senators know why such provisions are misguided and focus their attention on the real problems plaguing Ohio's institutions of higher education. Click here to be taken to an Action Network page where you can easily send an e-mail to your State Senator. Additionally, there still are anti-labor provisions remaining in HB 64, and we want to show our labor allies the same support that they showed to us. You can find more information about these provisions and send a message to your Senator through this Ohio AFL-CIO action page. 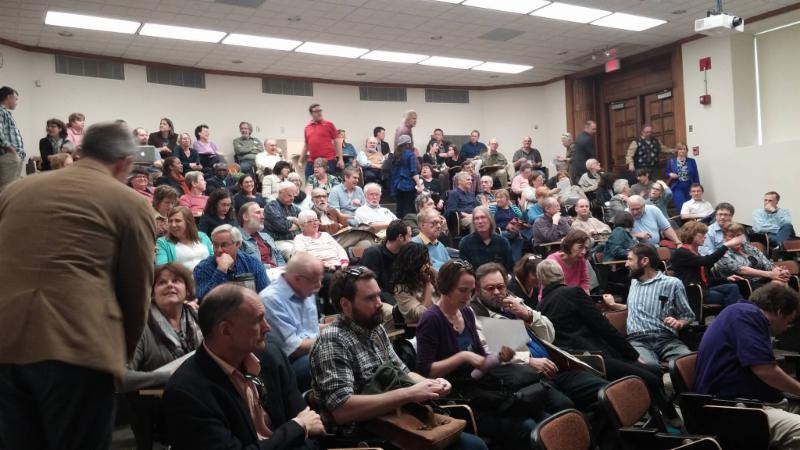 On April 29, over 100 faculty at Miami University of Ohio gathered to launch an AAUP advocacy chapter. AAUP President Rudy Fichtenbaum spoke to the crowd about the value of the AAUP in protecting academic freedom, tenure, and shared governance. OCAAUP President John McNay was also in attendance. Chapter Co-Presidents Karen Dawisha and Keith Tuma welcomed their colleagues in establishing this new chapter and expressed their hopes for amplifying the faculty voice on campus. We are pleased to welcome our new Miami members into the Ohio Conference. Together we are stronger! 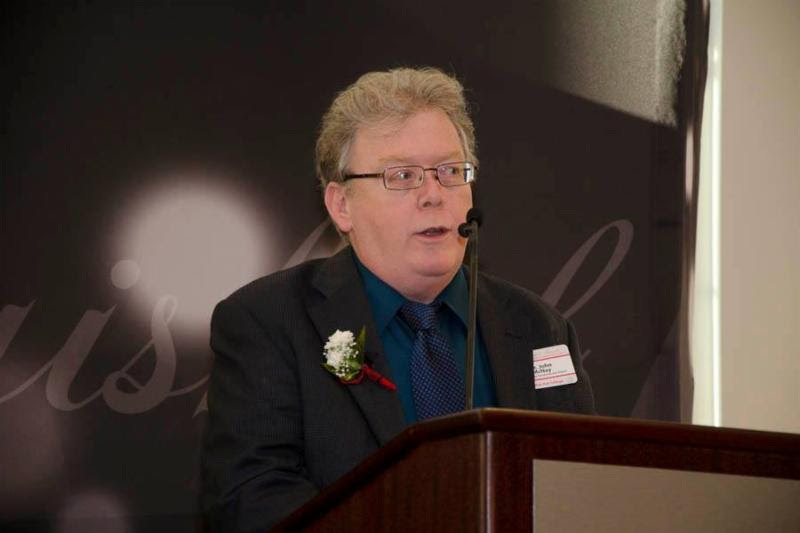 The Ohio Conference AAUP (OCAAUP) serves as a hub for the 24 AAUP chapters in Ohio. Collectively, we represent approximately 6,000 college and university professors at both public and private institutions of higher education across the State of Ohio. The mission of the OCAAUP is to preserve and advance academic freedom, shared governance, the general welfare of college and university professors, and to promote the greater social good that comes from a dynamic, active professoriate. OCAAUP is overseen by a Board of Trustees comprised of officers, chapter representatives, and at-large representatives, all of whom are uncompensated volunteers. Executive Director Sara Kilpatrick is the organization's sole staff member and works out of the OCAAUP office in Columbus. She is responsible for the day-to-day operations and serves as the association's state lobbyist.